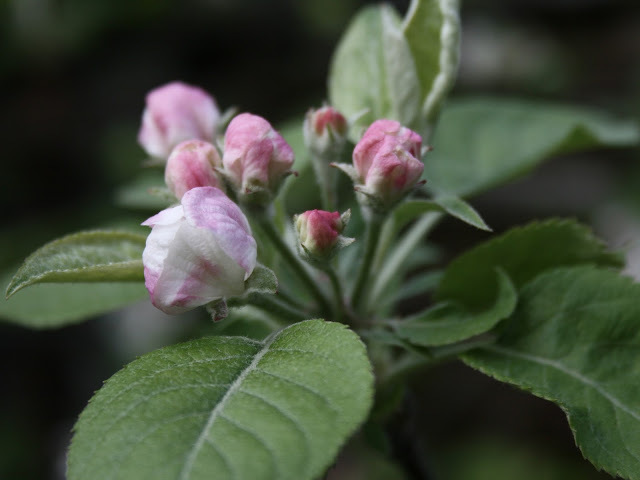 I'm working on a couple of apple blossom pincushions at the moment. 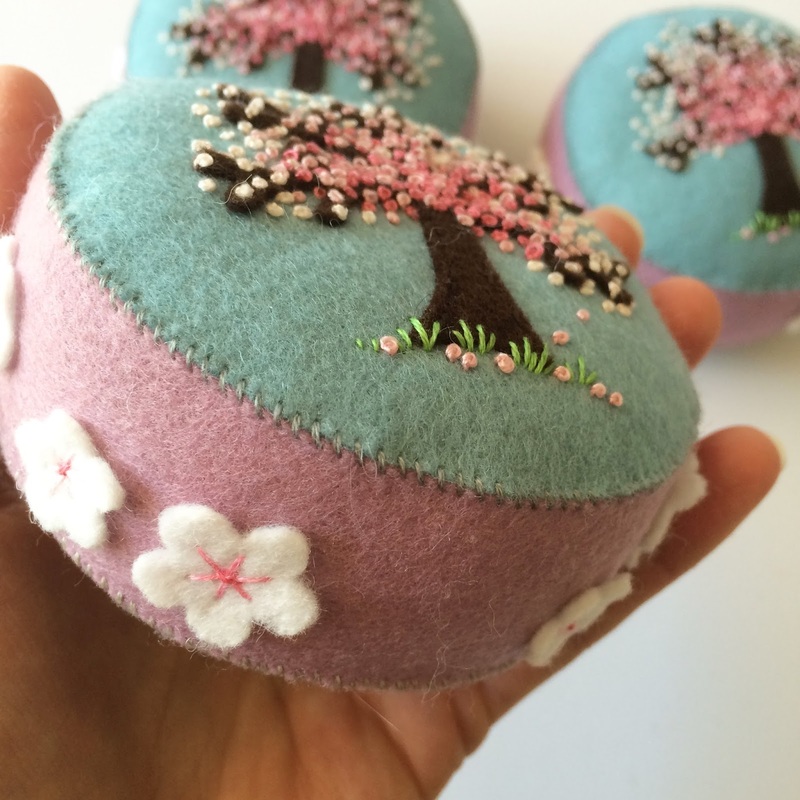 They are inspired by the apple blossom in my garden and are a variation of my best selling cherry blossom pincushion. 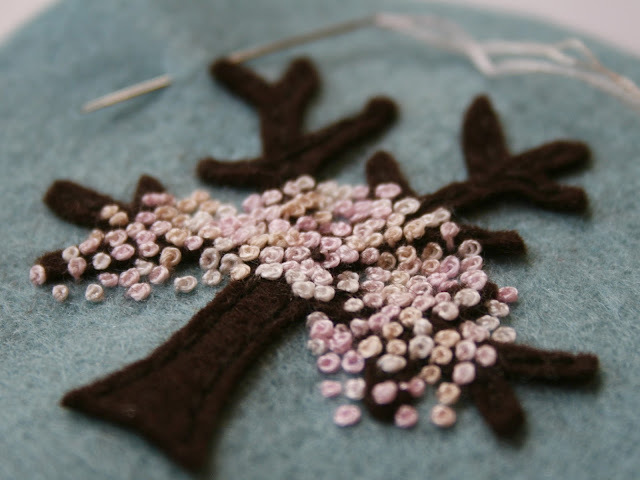 This design features french knots which are my favorite embroidery stitch! 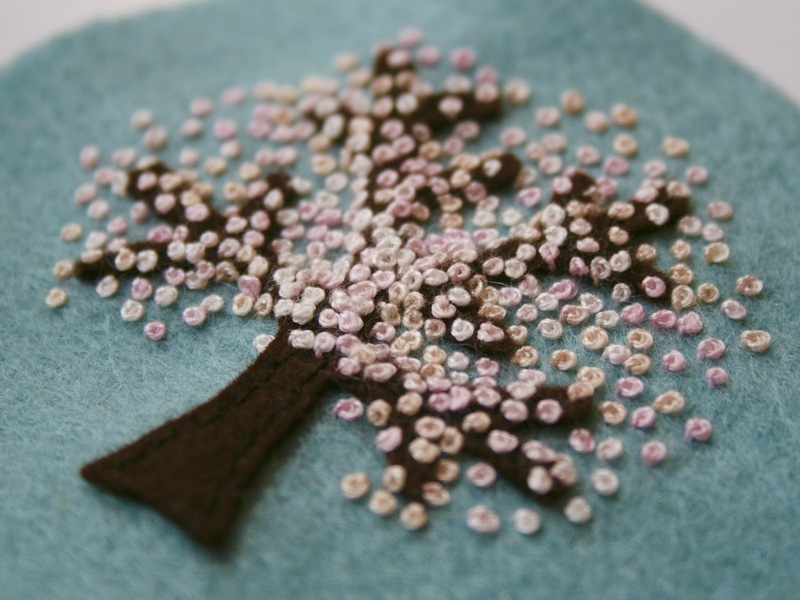 These little stitches are often mistaken for tiny beads by customers at the shows I do, until they touch the pincushions! Many people seem intimidated by french knots but I find the repetitive motion relaxing. I think a common issue is tangled or knotted thread. Some skeins of thread (I use primarily DMC threads) seem more prone to tangling than others. I try to avoid tangles by letting the needle hang loose now and then while I'm stitching. The weight of the needle untwists the thread. If a skein is giving me particular grief, I use a thread conditioner (Thread Heaven). 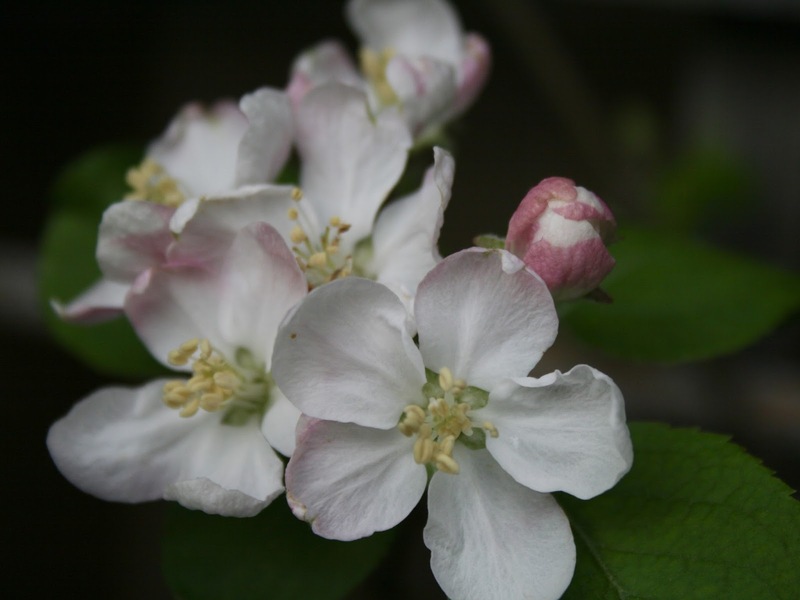 The thread I'm using for the apple blossom is this very pale variegated one. It is very subtle and pretty and matches the shades of the blossom on my tree. 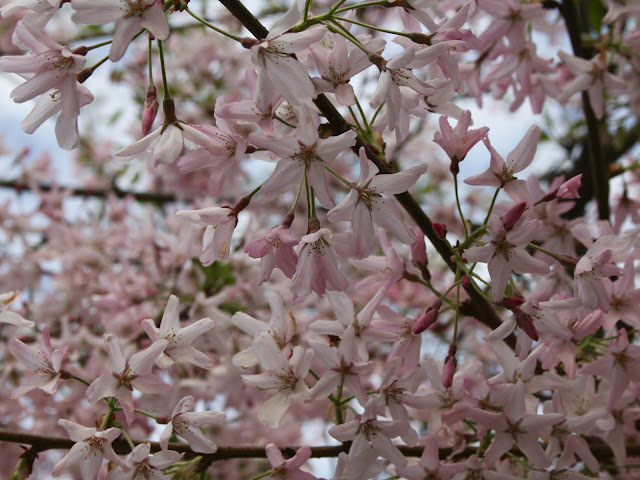 My cherry blossom pincushions, by comparison, have much pinker blossoms. 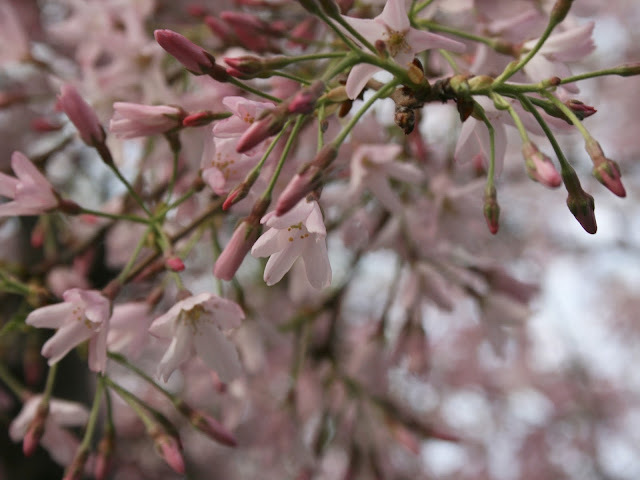 I use three shades of pink for that blossom. The cherry blossom pincushions have felt flowers on the side band but for the apple blossom ones, I think I am going to make a little felt apple and some leaves. 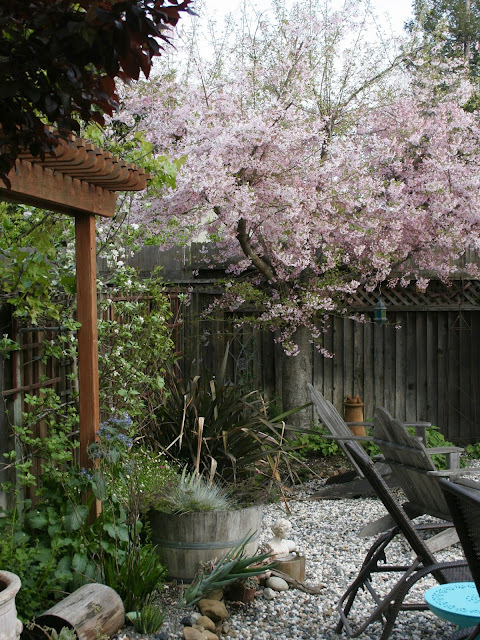 This is my cherry tree flowering beautifully this year.